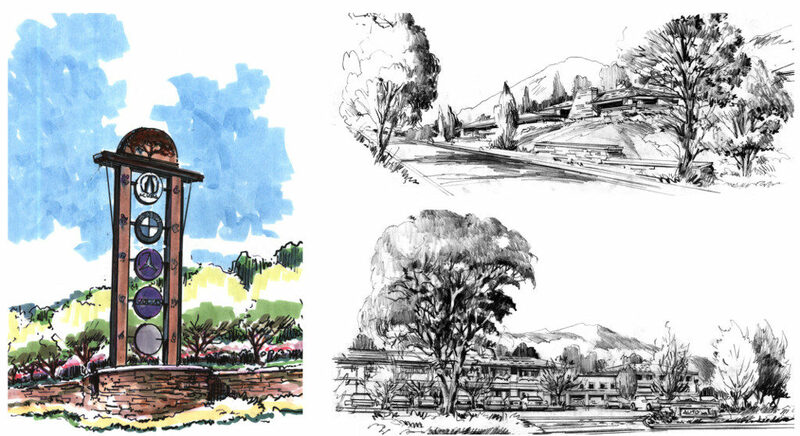 The City of Calabasas desired a master plan and set of design guidelines for West Calabasas Road–a freeway frontage road that runs parallel to the Ventura Freeway–that was sensitive to the existing topography and gorgeous oak trees and hillside while allowing for future development of viable parcels. 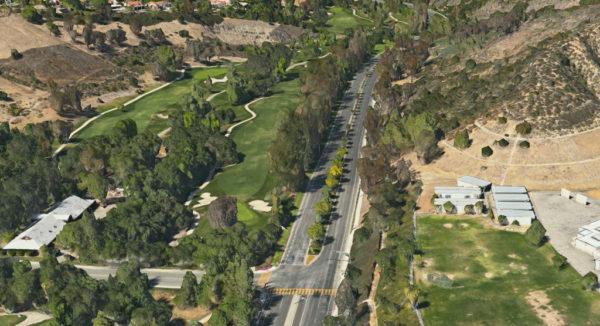 Calabasas Road has been designated a scenic corridor by the City and needed a master plan that honored the views and natural assets along the road. Downtown Solutions prepared a comprehensive and cohesive set of design guidelines and created two design themes for the road. Upscale Country has medical facilities and spas that will holistically and unobtrusively blend in with the hillsides. Country Corporate is comprised primarily of automobile dealerships and supportive uses. 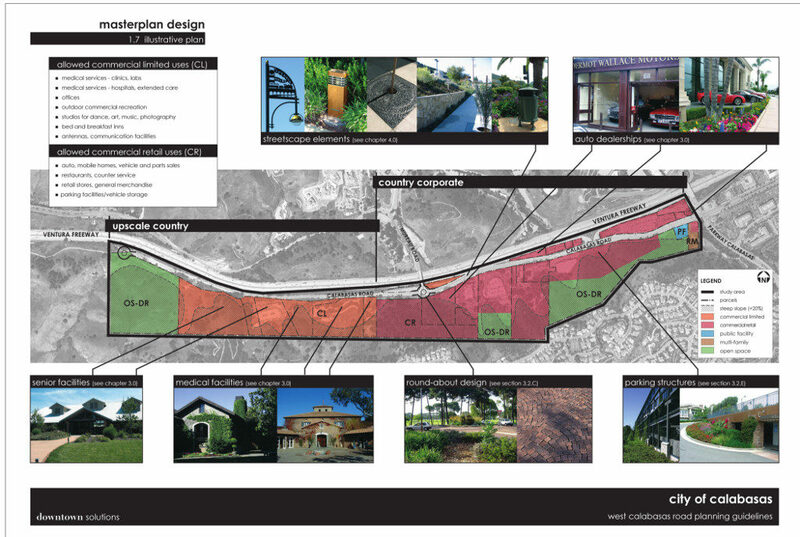 Signage and streetscape elements will help to create a cohesive and respectful environment along this scenic corridor. One-on-one interviews were conducted with stakeholders to determine the direction they wanted the road to take. The design guidelines were very well received by the Community Development Department, Planning Commission and ultimately adopted by the City Council.